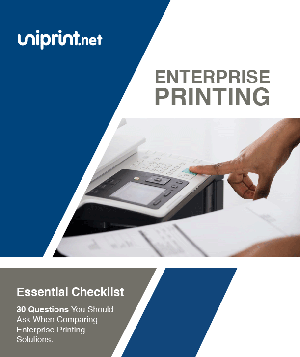 This complete checklist to know what questions to keep in mind, and to help guide you through your journey when deciding upon whether an enterprise printing solution is right for you. 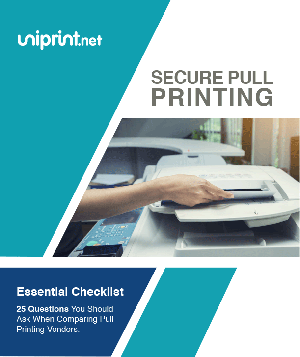 When looking for a pull-print vendor, it is important to remember that it is unlikely to find one solution that will address all your architecture and capability requirements. To help your search it is important to consider the following questions about solution features, and technical and architectural requirements. 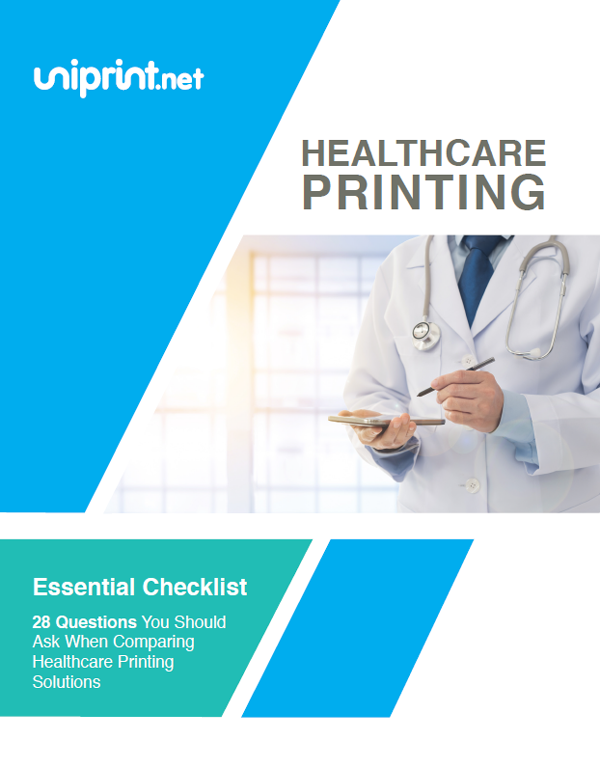 Know what questions to keep in mind, and to help guide you through your journey when deciding upon what healthcare printing solution is right for your healthcare environment. This white paper will address the benefits and drawbacks organizations will experience using serverless infrastructure and how UniPrint Infinity provides a solution that eases the management of serverless setups. 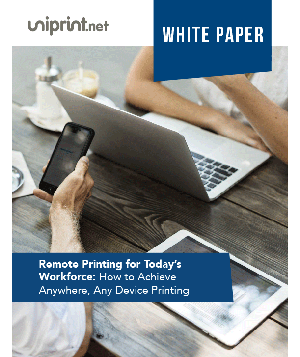 This whitepaper will outline several best practices pertaining to enterprise mobile printing, aiding companies in choosing or improving their mobile printing environment, and enabling cost savings, enhanced resource delivery, and secure, worry-free mobile printing. Physicians and other members of the healthcare team must be able to effectively use Epic’s EMR system in order to achieve desired results. 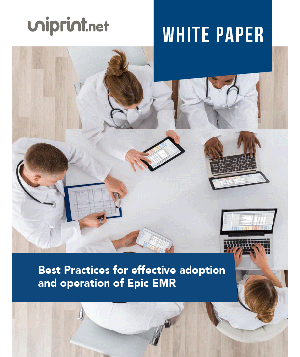 This whitepaper will detail several best practices for effectively adopting and operating the Epic EMR while also increasing productivity levels. 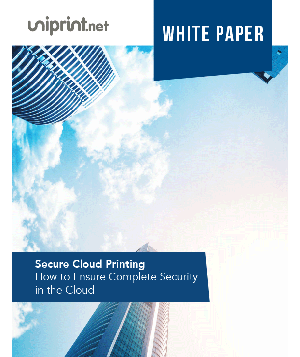 This white paper addresses common security concerns organizations have when moving their printing infrastructure to the Cloud and technical details on how UniPrint Infinity ensures complete print security. 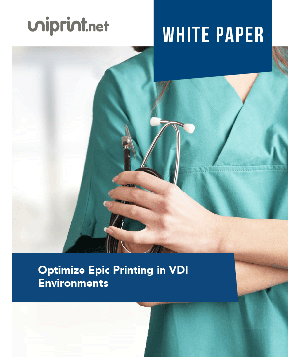 This white paper addresses the common printing and workflow issues with EPIC in a VDI environment and the considerations to optimize EMR printing. 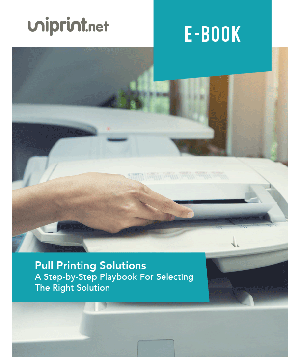 This white paper outlines practical considerations in leveraging virtual printing solutions such as secure pull printing, high availability, rule-based printing, label printing etc. 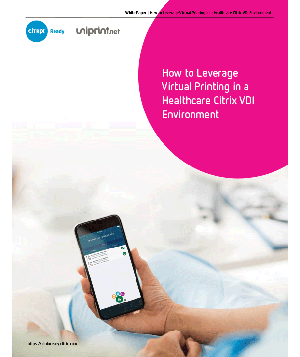 in a healthcare VDI environment. This white paper outlines practical considerations in achieving a secure cloud printing infrastructure for Microsoft Office 365 and Azure Cloud environments. 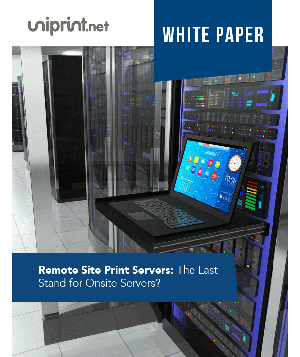 This white paper presents practical considerations on consolidation of print servers into the data center and alternative deployment of effective local print appliances. Achieving secure printing for confidential documents is an ongoing consideration for all responsible and compliant IT departments. 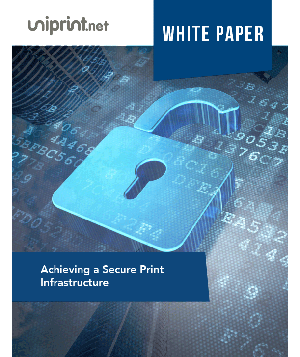 This white paper seeks to address the challenges and considerations, ramifications and benefits of achieving a sustainable, solid, demonstrable print infrastructure, otherwise termed as achieving a state of secure print. 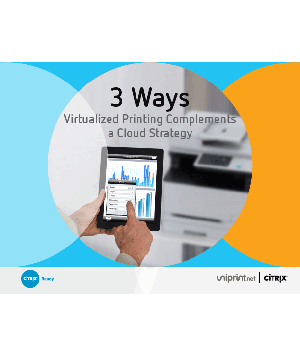 Gartner estimates that printing costs tally up to 3% of a company’s revenue. 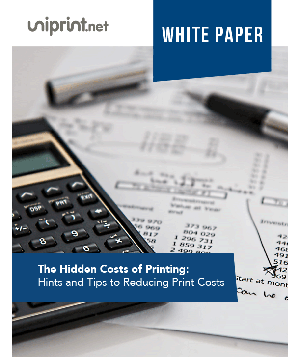 This paper spells out the typical categories of print expenditure and practical tips to reduce print costs overnight. Reducing the cost of print can be a painless way for enterprises to alleviate their hard-pressed IT budgets, so it is good practice for IT Managers to constantly seek new ways to streamline printing costs. 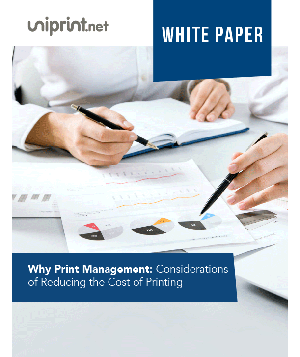 This white paper highlights common challenges and considerations to reduce your printing costs and positively impact your bottom line. This white paper outlines the challenges of moving user sessions from local to remote printers, through a centralized data center, in a mixed client platform. 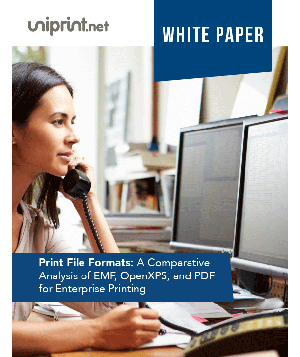 The purpose of this white paper is to provide a technical comparison and analysis of each of the three most widely adopted print file formats within Universal Printer Driver (UPD) solutions, and how they influence printing performance in enterprise computing environments. Contrary to popular belief, recent studies suggest that millennial leaders will continue to value paper-based documents. However, with digital transformation taking over the corporate, millennials also acknowledge the importance of digitizing existing documents and workflows. With print looking like it will definitely be part of the future workplace, a role change for paper-based documentation will be necessary to keep up with the ever-evolving digital world. This eBook focuses the rising impact of millennials in the enterprise workforce, digital workplace security, and the future of printing in the new enterprise world. To help your search it is important to consider your organization’s long-term goals, and set your requirements for the solution, both technical and architectural. This e-book gives a step by step playbook on understanding your goals and business case, selecting important requirements, and evaluating vendors. This ebook outlines how virtualization adds upon your Cloud strategy by saving time and money, freeing up IT resources, and improving productivity. 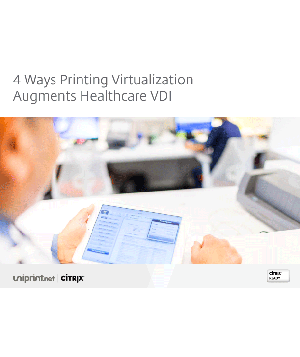 This eBook will discuss why printing virtualization is important and offer four ways it can complement VDI in a healthcare setting.